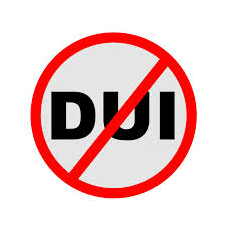 ​DUI Probation- over 500 clients in the last 5 years have successfully navigated through the judicial system. Offer daily living assistance by referring clients to community resources to assist them with sobriety and personal needs in order to be successful. Collaborate with mental health providers for complete life success. The DSP program is considered to be successful based on a 95% average monthly compliance rate, 80% successful completion, and recidivism rate of less than 1% over the past 4 years. Fremont County benefits greatly from the DSP program. Numerous and varied sentencing options can be imposed on DUI offenders. However research clearly identifies intensive supervision as one of the most effective means of reducing re-arrest rates. Unfortunately, the high number of DUI offenders precluded that option in our community - there were simply too many DUI offenders for Wyoming Department of Corrections and Probation and Parole to manage. As a result nearly all offenders were placed on unsupervised probation. Without any oversight, offenders could easily "hide" from the criminal justice system and before long it became common knowledge that there were not real consequences for the DUI offender who did not comply with the conditions of his/her probation and there was no motivation to change. By 2001, over half the people who were convicted of DUI did not comply with one or more conditions of their probation. As a result, the DUI problem continued to grow and second and subsequent offenders began to make up an increasing percentage of offenders arrested for DUI. A solution was clearly needed - something that would increase compliance with probation, get help to those with substance abuse problems and ultimately reduce to incidence of DUI in Fremont County. IPR and the County Attorney worked together to design the DUI Supervised Probation (DSP) program - a program which would allow agents to supervise DUI offenders so that compliance with conditions of probations, including completion of substance abuse treatment was achievable. Beginning in 2004, IPR began to manage DSP. Injury Prevention Resources' DUI Supervised Probation (DSP) Program provides court-ordered supervised probation to hard-core DUI offenders. The primary objective of DSP is to ensure that DUI offenders comply with the conditions of probation imposed by the court. The DSP program provides an intermediate stop between unsupervised probation and Drug Court. DSP is individualized, comprehensive, and long term (24-36 months). DSP clients are required to meet face to face with their Probation Agent frequently throughout the length of their probation. Clients sign a release of confidentiality so that documentation of clients' compliance with conditions of probation (including treatment for substance abuse) can be exchanged between other agencies and Injury Prevention Resources. Abstinence from alcohol and illegal drugs is required and clients are tested routinely and randomly for evidence of alcohol and/or drug use. Clients are required to be either employed full time, attend school full time, or perform community service. The primary objective of the DSP Probation Agent is to balance supervised strategies aimed at enforcing rules with those designed to assist clients in changing behavior. The DSP Probation Agents assist clients with complying with the conditions of their probation, monitors their compliance and reports to the proper authorities. This includes providing clients with guidance and support, identifying services needed to help clients successfully complete probation, imposing additional requirements when appropriate ,and monitoring/reporting clients' progress to the Prosecuting Attorney and sentencing court. IPR averages 120 clients every month with over 1000 clients served since the program's inception in 2004. A person is ordered to participate in the DUI Supervised Probation program (DSP) upon conviction or through a plea bargain, the rules and costs are many. Rarely do people think about just how that DUI is going to affect most every aspect of their life. In the beginning of supervision, clients are required to meet with their Probation Agent at least once each week. After the initial two to three months, visits may be reduced to every two weeks if the client is compliant with all conditions of probation. Clients remain on supervised probation for 24 to 36 months. All clients are required to submit to IPR's DATS (Drug and Alcohol Testing Sytem) program with include any combination of twice daily breathalyzers (BAC’s), utilization of SCRAMx Alcohol Monitoring Bracelets, random urinalyses testing, and random breathalyzers. All clients must obtain a substance-abuse evaluation, if one was not obtained prior to sentencing, and complete treatment as recommended. Abstinence from alcohol and drugs is required and clients are tested routinely and randomly for evidence of alcohol and/or drug use. Offenders are required to be employed full time, attend school full time, or perform community service, and must pay all fines ordered by the court (including any unpaid fines from previous offenses). All first time DUI offenders are required to attend a Victim Impact Panel (hosted by IPR) and many offenders are also required to complete a DUI-education course in addition to any professional treatment they. If an offender becomes non-compliant with their probation, then they are referred to the County Attorney’s office for further action. Often, when an offender starts probation all of this – breathalyzers, treatment, classes, AA, insurance, getting their license back, weekly meetings with their Probation Agent – can seem overwhelming. It is the job of IPR`s Probation Agents to help the offender work their way successfully through all of the requirements. Otherwise it can become too much and a person may become frustrated and simply give up and either decide they would rather be in jail or start drinking again. Once an offender has met with all the conditions of his/her probation and is ready to leave the DSP program they are given an exit interview and are asked to give their honest opinion of the program. For many it has been at least one year and for most two to three years of probation and they have successfully managed to complete many of the items listed above in the program description. Below are a couple of the questions on the form and their answers. What were your initial expectations or perception of the DSP Program? · "I thought it was going to be a lot of hassle"
· "At first I thought it was overwhelming, but once on track it wasn’t bad at all. · "To complete and get out of this system. I learned a lot from this." · "Everyone was most helpful in helping me get the help I need to make the proper choices"
· "Stay sober and work harder"
· "At first, forcing me to do the breath test kept me sober until I felt comfortable on my own." · "Going through all the different things I had to complete." IPR is a non-profit organization; if you would like to donate to this much needed program just click on the Donations on the Home page. Thank you for your support!